This year’s Postal History Symposium – a joint production of the APS, APRL, and Smithsonian National Postal Museum – will be held at the American Philatelic Center in Bellefonte this year. The same weekend, September 16-18, the United States Stamp Society will host a stamp show here. Lunch on Friday and Saturday will be held in the future home of the APRL at the American Philatelic Center. 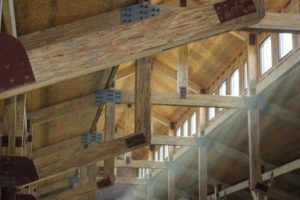 While much work remains to be done before this space is a working library, it now has a roof and windows and is a beautiful room. The current APRL is also located at the APC and will be available to visitors during the symposium and show. There will also be several meal functions during the weekend for which reservations are required. The USSS will host a Dutch Treat dinner on Friday, and there will be free lunches at the APC on both Friday and Saturday. On Saturday evening, there will be a banquet and symposium keynote by Dr. David Hochfelder. For more information and to make reservations and purchase banquet tickets, please see our symposium website. Our hotel blocks are sold out. See our list of area hotels, motels, and bed & breakfasts for accommodations. The American Philatelic Society’s StampShow will be in Columbus Aug. 11-14. One of the noncompetitive exhibits at the show will be on the history of the APS, which will celebrate its 125th anniversary in September. Our APRL intern, Robbin Zirkle, spent the last few weeks selecting items from the APS Archives, describing them, and mounting them. 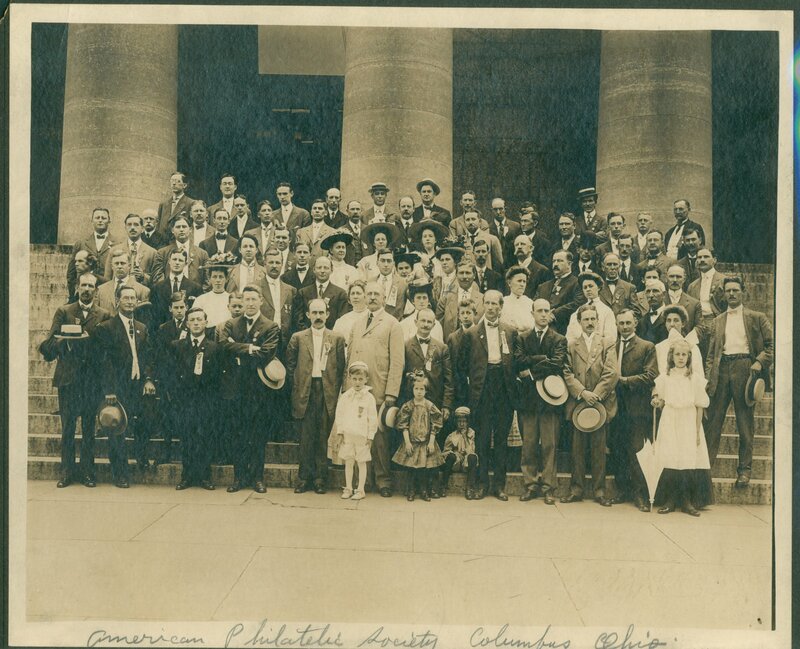 One of the items she selected was a photo from an APS convention in Columbus – in 1908. That convention was important, as the society officially changed its name from the American Philatelic Association to the American Philatelic Society. If you are attending the show, be sure to check out Robbin’s exhibit. 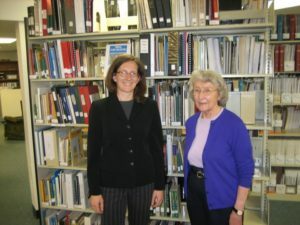 She has also written a guide to the 19th century portion of the APS Archives which will be published in the 3rd quarter issue of the Philatelic Literature Review. On July 27 the United States Postal Service will issue a postage stamp commemorating Owney, the dog that became the unofficial mascot of the Railway Mail Service in the late 19th century. A number of philatelic organizations are taking this opportunity to promote stamp collecting to a wider audience. The National Postal Museum is undertaking an especially aggressive effort in this regard. The American Philatelic Society has created an Owney Resouce Page on its website to promote this event. The Railway Mail Service Library (RMSL)in Boyce, VA owns a photograph of Owney taken in Pittsfield, MA after arriving from New York City on the Pittsfield & Bridgeport RPO. 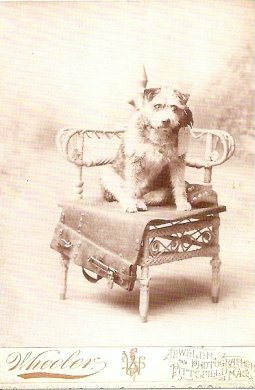 The RMSL has created a postcard using their photograph of Owney and are selling the postcards on eBay. The Postal History Foundation and its Slusser Library in Tucson are celebrating the release of the Owney stamp by having a children’s party and stamp unveiling on July 27th. The party will include activities for the kids and a storyteller recounting the tale of Owney. They are also selling a cachet and have produced a special postmark for the day. The Philatelic Librarians Roundtable, a group of staff, volunteers, and board members from philatelic libraries and other library supporters, has held in person meetings at APS StampShow and AmeriStamp for several years. In order to hold more frequent discussions and include more people, this year we started holding meetings by teleconference in between shows. The APS has hosted these telephone meetings. Our next telephone meeting is coming up on July 12 at 1pm Eastern. If you would like to join the meeting, contact me and I will provide details. We will also meet during StampShow in Columbus, on August 12 at 11am. Recent discussions have included the Philatelic Union Catalog, journal indexing, digitization projects, and the exchange of duplicate materials and literature wantlists. The Sixth Annual Postal History Symposium (“How Commerce and Industry Shaped the Mails”) and United States Stamp Society Show will be held at the American Philatelic Center in Bellefonte, Pennsylvania, September 16–18, 2011. Read more about the event in this press release from the APRL. The Symposium, co-sponsored by the APRL, the American Philatelic Society, and the National Postal Museum, is free and open to the public – but please register online (at the National Postal Museum website) and book your hotel room early since this weekend is also Parents Weekend for nearby Penn State. 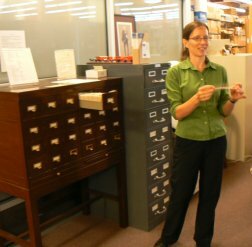 Do you have questions about caring for your philatelic library and documents? The Association for Library Collections & Technical Services, a division of the American Library Association, is offering two free webinars during Preservation Week (April 24-30). The webinars are open to anyone with an interest in the topics: Accidents Happen: Protecting & Saving Family Treasures and Preserving Your Personal Digital Memories. See the American Libraries website for more information and registration. The Sixth Annual Postal History Symposium will be held Sept. 16-18, 2011 at the American Philatelic Center in Bellefonte, Pa. in conjunction with a philatelic exhibition hosted by the United States Stamp Society (USSS). The theme is How Commerce and Industry Shaped the Mails. The deadline to submit a paper proposal is May 1. See the call for papers for more information. You can also see papers from previous symposia on the National Postal Museum website. The Postal History Symposium is sponsored by the American Philatelic Society, the American Philatelic Research Library, and the Smithsonian National Postal Museum. The symposium and philatelic exhibition are free, and we have blocks of rooms at two local hotels. 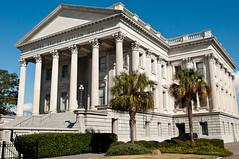 Anyone with an interest in philatelic libraries (including librarians, staff, volunteers, board members, and others) is invited to the Philatelic Librarians Roundtable at APS AmeriStamp Expo in Charleston, SC on Feb. 11. The Roundtable is scheduled for noon-2 p.m. The agenda will include discussion of digitization projects, duplicate materials exchange, and the Philatelic Union Catalogue hosted by the APRL. If you have additional items you would like to discuss, please contact me. In addition to periodic roundtable meetings, those interested in philatelic libraries can also communicate with each other using the Philatelic Library Forum, hosted on Google Groups. The Forum provides an email discussion list and a place to share duplicate and want lists.